One of the best ways to experience the flavors of Autumn is through the food! There are so many recipes suitable for this season, especially if they contain cinnamon, nutmeg and pumpkin. In this article we are going to show you ten recipes that include pumpkin, both sweet and savory. There is something for everyone’s taste and most of these recipes are very easy to prepare! No matter if you’re a beginner or you already have good cooking skills, the recipes below are perfect for everyone. Scroll along! So many both tasty and healthy ingredients in one dish! This meal will certainly make you feel full, so you don’t have to worry about feeling hungry later. 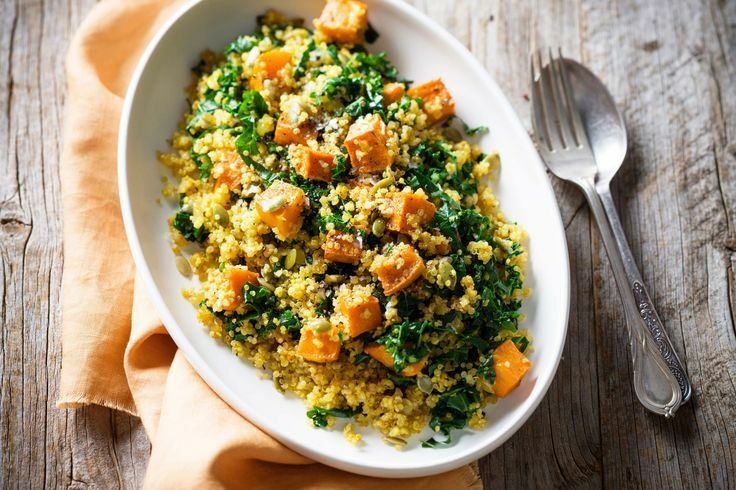 It’s all about mixing the right ingredients, and in this case we have pumpkin, kale, quinoa and pepitas. You can go on with adding extra ingredients such as garlic, ginger, coriander and turmeric, or other ingredients that would add more flavor according to your taste. Ideal for dessert, snack or breakfast (imagine having it with your favorite cup of coffee or tea! 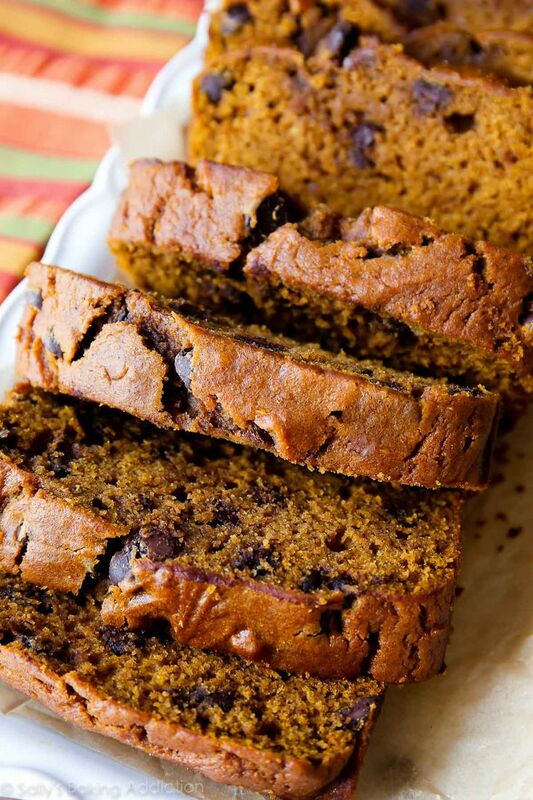 ), this pumpkin chocolate chip bread is going to be the thing your really need. It’s the perfect Autumn treat, since it contains so many ingredients reminding us of this wonderful season – cinnamon, nutmeg, pumpkin. Of course, to make things even more sweet, add chocolate chips. That is how you bring the chocolate lovers closer to the pumpkin taste. 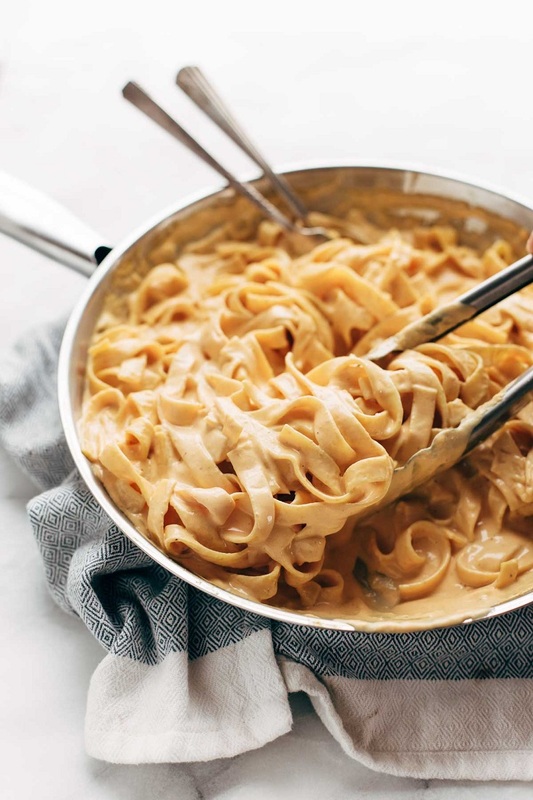 When it comes to pasta, there are plenty of sauces to try out and one of them is being the Alfredo sauce, except that this time is a little bit of modified. This version is made out of five ingredients, making it a very budget – friendly recipe. You need 2 tablespoons butter, 5 garlic cloves, 1 cup pumpkin puree (canned pumpkin), 2 1/2 cups heavy whipping cream and 1/2 cup grated Parmesan cheese. Simple and easy, this recipe is great for beginners. Super delicious desserts like this are a must! 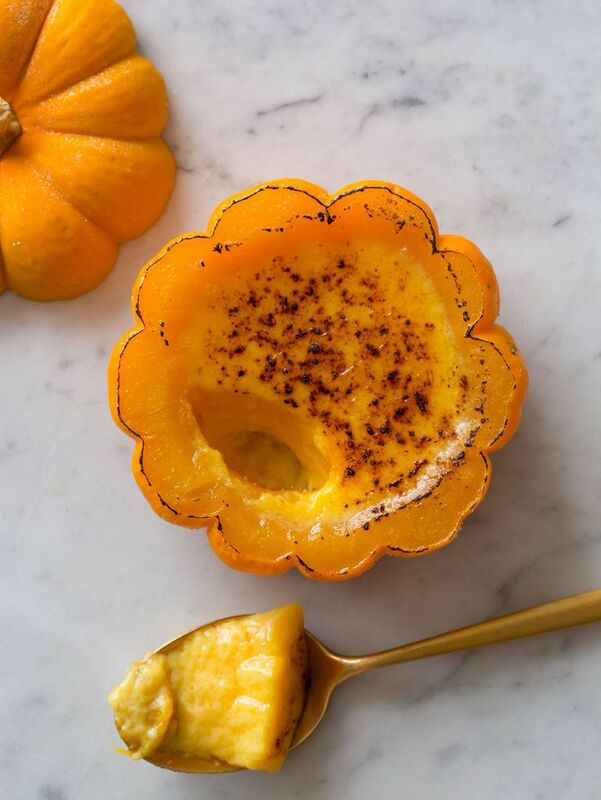 For many no – bake means less work in the kitchen, so if you prefer such desserts then definitely give this pumpkin crème brulee a chance. For this recipe, you need 8 baby pumpkins, 3 tbs light brown sugar, 1 1/2 tbs superfine sugar, 2 tbs all purpose flour, 1/4 tsp salt, 1 cup heavy cream, 5 egg yolks, 1 cup whole milk, 2/3 cup pumpkin puree, 1/2 tsp ground cinnamon, 1/4 tsp ground nutmeg, 1/4 tsp ground allspice, pinch ground cloves and 1 tsp vanilla extract. Pumpkin pizza? Yes, please! This recipe if perfect for those of you who like to experiment with their food. 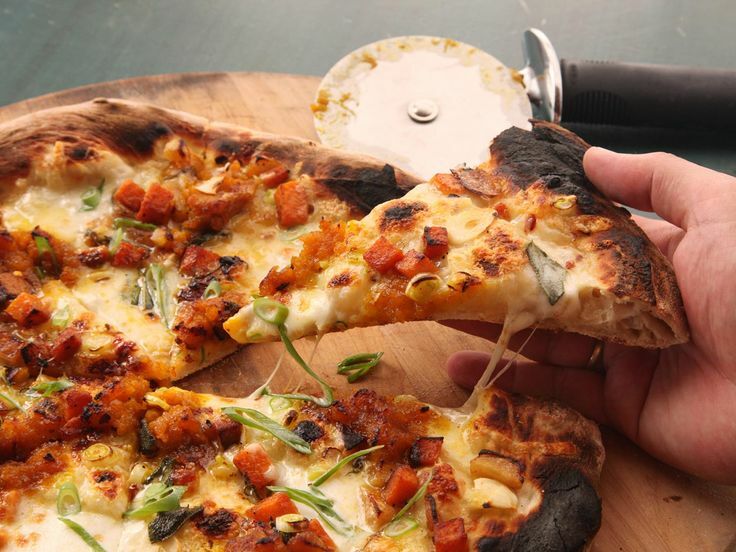 We all know that vegetarian or pepperoni pizza is a winner for many people, but if you’re feeling like you want to try out something new, give this pizza a chance. It has some pizza ingredients you love, such as Parmesan and mozzarella cheese, but there are others that you might not expect, such as apples. It’s really good, you’d love to prepare it again! 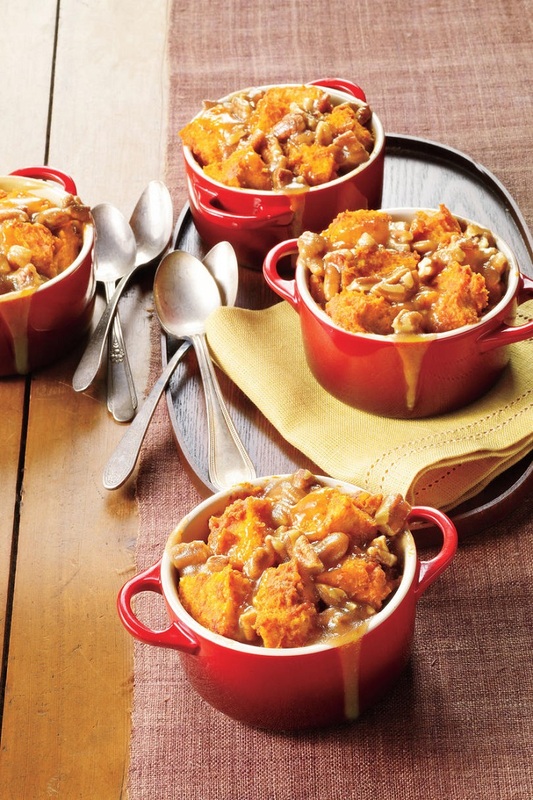 If you’re a fan of bread pudding, then we definitely have the right recipe for you. This one contains caramel pecan sauce, which is seriously one of the most delicious ones you will ever try! You need 1 cup pecans, 1 cup firmly packed light brown sugar, 1/2 cup butter, 1 tablespoon light corn syrup and 1 teaspoon vanilla extract for the sauce, while for the bread pudding you need 4 large eggs, 2 cans pumpkin, 1 1/2 cups milk, 1 cup half-and-half, 1 cup granulated sugar, 1 tsp ground cinnamon, 1/2 tsp salt, 1/2 tsp ground nutmeg, 1/2 tsp vanilla extract and 1 French bread loaf. Ready in less than one hour, this spicy pumpkin leek soup will definitely warm you when times get colder. 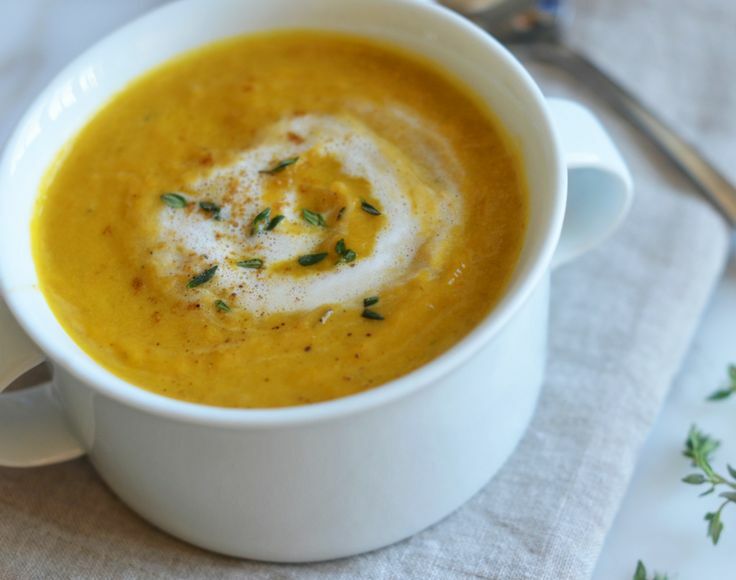 There’s nothing better than a warm soup with the taste of Autumn! To prepare this one, you need 4 tbs unsalted butter, 2.5 pounds leeks, 4 cloves garlic, 1 (15-oz) can pumpkin purée, 1 apple, 6 cups low sodium chicken broth, 5 tbs maple syrup, 1-1/2 teaspoons salt, 1/2 tsp ground cumin, 1/8 – 1/4 tsp cayenne pepper, 1-1/2 tsp fresh thyme, plus more for garnish, 1-1/2 tsp fresh sage and 1/4 cup heavy cream. 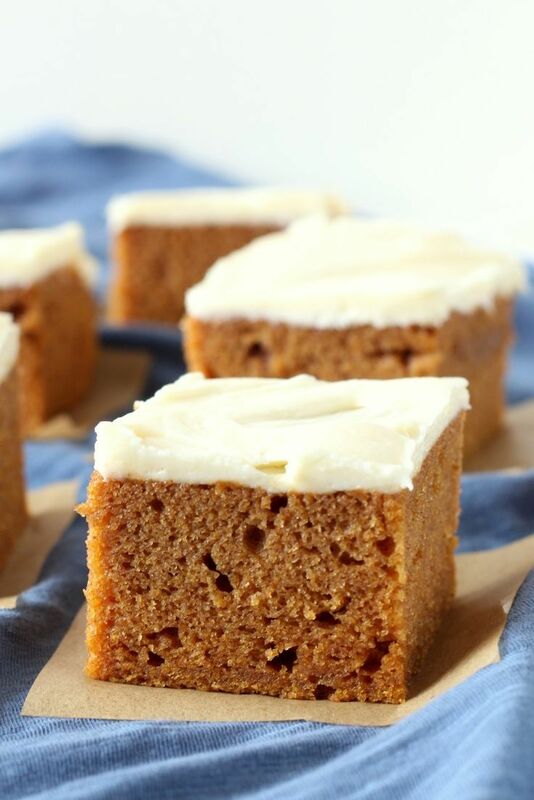 Soft and moist, these pumpkin bars with cream cheese frosting are going to be your favorite dessert! It is very easy to prepare them and you’re going to have it all ready in about an hour. To prepare the bars, you need 4 eggs, 1 and ⅔ cup granulated sugar, 1 cup canola oil, 1 (15 ounce) can of pumpkin, 2 cups all purpose flour, 2 tsp baking powder, 1 tsp baking soda, 2 tsp pumpkin pie spice and 1 tsp salt. Choose your favorite cream cheese frosting and you’re ready to go! Easy lunch or dinner recipe, the pumpkin chicken chili is something that every pumpkin lover should try. It’s a very unique recipe, but it’s surely a great one. 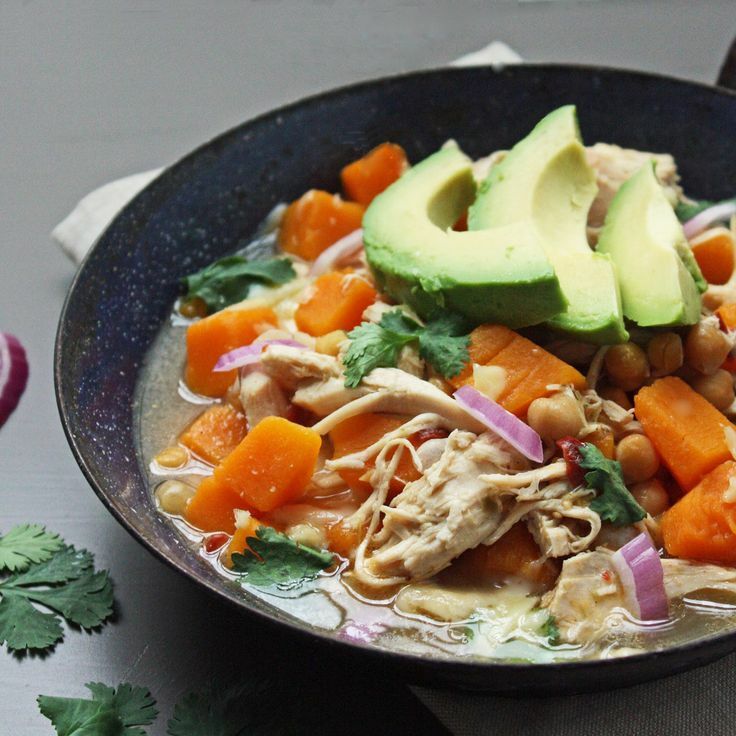 You need the following ingredients – 6 cups chicken broth or stock, 2 cups raw pumpkin, 4 cups cooked chicken or turkey, 1 cup garbanzo beans, 1 tbsp canned chipotle peppers, 1/2 cup salsa verde, 1/2 tsp garlic powder, 1 tsp ground coriander, 2 tsp ground cumin and 1/4 cup sour cream. 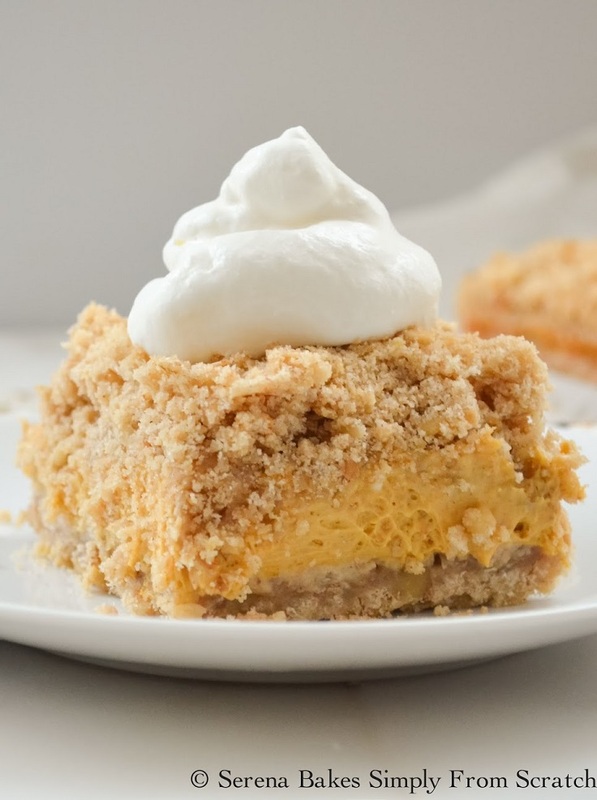 Made out of crumb crust and pumpkin cheesecake filling, this dessert is going to make your sweet tooth crave for more! One of these bars won’t be enough. It won’t occupy much of your time, as it will take you about an hour to prepare them. You can eat these bars as snacks or prepare them for a dessert treat after lunch or dinner. Soft and chewy, these bars are the real deal!